Adjustable harnesses are available in four sizes to fit most dogs. Coastal's high quality nylon is thick and strong and specially processed to prevent fraying. All nylon products are carefully and neatly finished for the best look and durability. 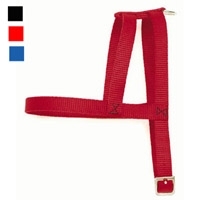 This harness consists of 5/8"" nylon and is best suited for puppies and small dogs. Coastal's high quality nylon is thick and strong and specially processed to prevent fraying. All nylon products are carefully and neatly finished for the best look and durability. 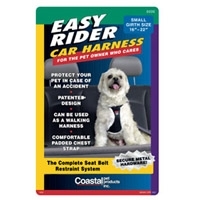 Coastal Style 6000 XL Easy Rider Adjustable Harness 32-45"